Ion Beam Sputtered Laser Crystal CoatingsREO Inc.
REO, a leading manufacturer of high volume precision optical solutions, now offers coating services for customer furnished non-linear crystals and laser gain materials used in a wide range of laser applications. These include gain crystals, non-linear crystals, q-switches and more. These coatings utilize REO’s proprietary Ion Beam Sputtering process to produce fully densified films for ultra-low-loss, low absorption, high laser damage threshold and superior environmental stability. Sophisticated tooling techniques precisely control the clear aperture and minimize overspray. Proprietary cleaning technology, crystal pre-treatment processes and handling protocols maintain high yields for customer furnished materials. A primary advantage of REO’s IBS coatings is that these non-porous coatings are immune to moisture absorption during operation, extending their lifetimes and preventing shifts in coating performance with changes in ambient humidity. Our IBS coatings are also very mechanically durable, enabling them to be repeatedly cleaned. In addition, these dense thin films contain fewer defects than other coating types, thus maximizing laser damage resistance while simultaneously minimizing scatter and absorption. Finally, IBS technology enables greater precision and repeatability during deposition, which permits the production of very consistent coatings, including films with complex, multi-wavelength spectral performance. Superior laser damage performance is possible for all of our coatings which include A/R, Multi-wavelength A/R and dichroic coatings for wavelength ranges from 266 nm to 6 microns. 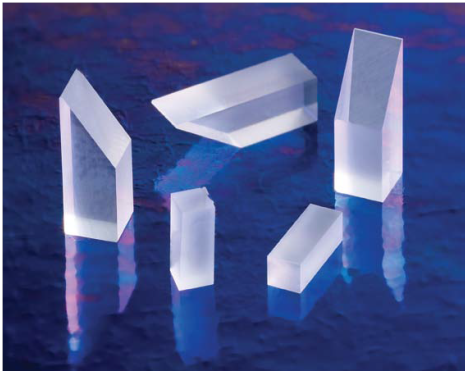 Examples of crystal types that REO processes are YAG, LBO, Ti:Sapphire, YV04, LiNb03, ZGP, YLF, KTP, BBO, Laser Glass, SBBO and DKDP. Our own in-house laser damage testing facilities ensure the fastest turn-around of your materials. We also maintain an extensive suite of metrology equipment to verify every aspect of coating performance including direct absorption measurement, laser photometers, spectrophotometers and surface roughness measurement. REO produces the full spectrum of high precision thin film coatings, optics and opto-mechanical assemblies for the ultraviolet, visible and infrared. Located in Boulder, CO, the company primarily services medium to high volume OEMs including manufacturers of defense and aerospace systems, laser systems, semiconductor tools, medical systems, life sciences instrumentation and telecom equipment. REO is a privately held company.